Dr. Manisha Ketkar, Director Symbiosis School of Banking & Finance is a Commerce graduate and a Fellow Cost Accountant (FCMA). She has also done her Master’s in Business Studies (MBS) from the University of Pune. She has done her PhD in 'Study of supply risk management practices' with Symbiosis International (Deemed University) under the guidance of Dr. O. S. Vaidya from IIM Lucknow. Dr. Ketkar has presented papers in International Conferences and also has some published papers to her credit. Dr. Ketkar has 28 years of experience. She has handled the operations of a business unit of a pharmaceutical multinational for over 16 years before her passion for teaching made her join Symbiosis in 2006. Her areas of expertise are Cost & Management Accounting and Supply Chain Management. 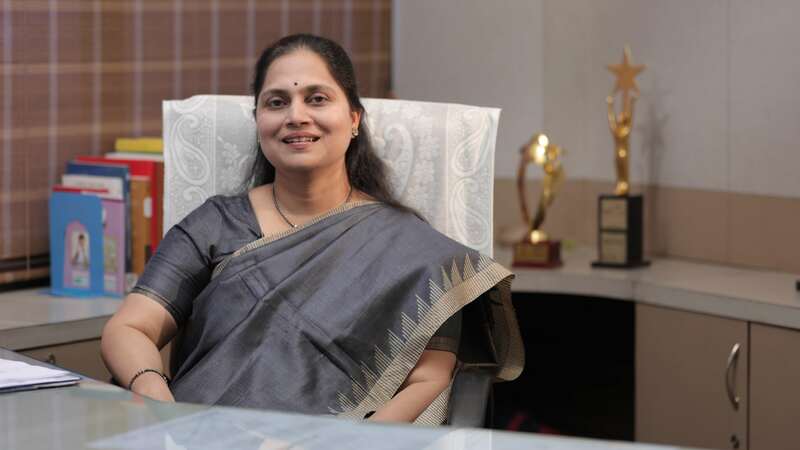 Dr. Ketkar is acknowledged for her interactive teaching approach. Along with academics, she is also known for her innovative approach to improvements, from student related matters to process reengineering. "Banking and Financial Services (BFSI) sector in India has come a long way traversing three distinct phases: the era of nationalization and priority sector lending, the era of financial sector reforms in the nineties, and now the era where technology enabled, customer focused financial conglomerates operating in multiple segments of the financial sectors. The demands of an emerging economy like ours on the BFSI sector are multi-dimensional. Financial institutions will have to master the fine art of balancing growth and inclusive development even as they relentlessly innovate to bring a wider range of financial services to the doorstep of the next generation customer. They would hence require appropriately trained management professionals to meet the emerging challenges. Advent of payment banks and micro-finance corporations only accentuates this requirement. SSBF’s two-year MBA programme in Banking and Finance is designed to provide specialized knowledge and training to address not just the growing banking and finance requirements, but also the increasing complexity of operations of the BFSI sector. More than 65% of our courses are focused on Banking and Finance and thus equip the students with relevant knowledge and managerial skills to work effectively in banks, NBFCs, financial institutions, and other organizations in the BFSI sector."